Busy busy time here at the moment! Our mares have been foaling and the show horses are out and about. 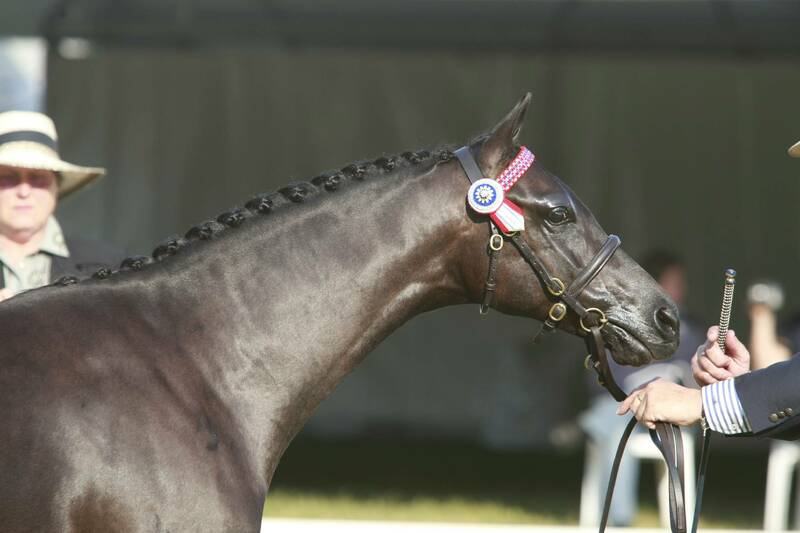 Dreamtime Flirtini started under saddle at his first show at Nathalia on the 5th of October. Flirtini is being prepared, shown & ridden for us by Mitch Fox and Nicole Touzel from Marzel Park. We were thrilled with his behavior at his first outing, he trusted in Mitch & they've formed a great partnership. It was a bonus to win his Galloway class and then go on to win champion. The following day it was off to Berrigan show where he again won his class from a strong field & was awarded Reserve Champion. For me it is so rewarding to see a youngster I've bred growing up and coming out under saddle. We also have an off the track thoroughbred mare. She has been named Dreamtime Revenge. Revenge has been placed with Greg Mickan & Terry Van Heythuysen of Romsey Park. 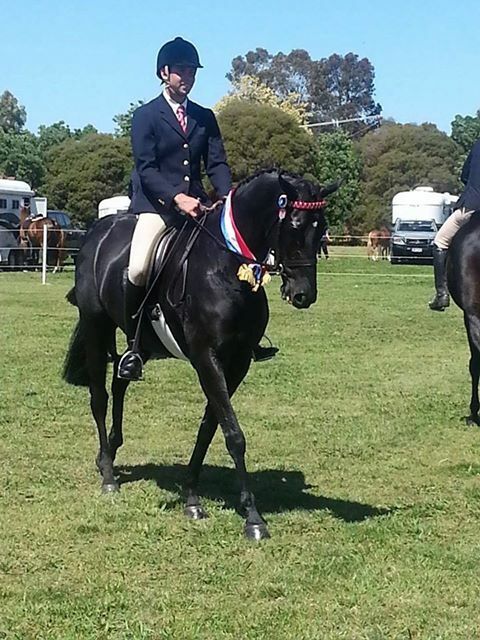 It was her first show last weekend at Shepparton where she won Champion Led exhibit & Champion ridden hack. Greg has given her the thee stable name of 'Tina' (tongue in cheek for Tina Turner’s song...simply the best). The next day the Romsey Park team, which includes the gorgeous warmblood show hunter mare HB Beautiful Encounter owned by Jamie Carson, headed off to Corowa show. Another successful day with Revenge slowly getting used to the busy show environment & on the way winning Champion Led as well as her open hack class. Our smallest of the newcomers is Beckworth Magic Moments. We purchased Moments as a yearling. He was broken in by Tara Kirk and has gone to Bree Stevens to be shown. Momo as Bree has nicknamed him, has been a delight so far. Let’s hope that all continues when he goes to a show! Home at the stud we've had several new foals arrive. 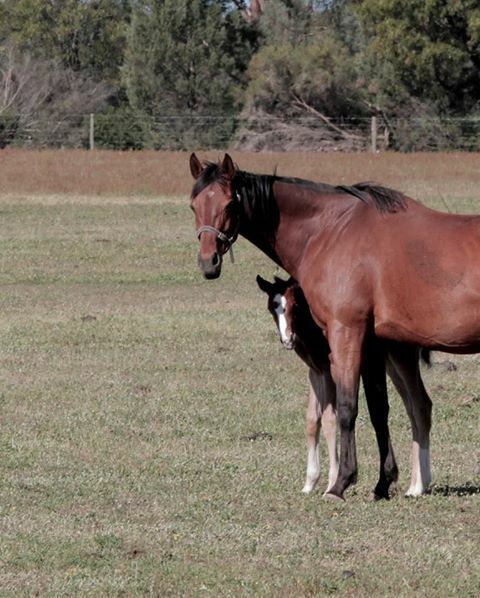 Liberty Belle had a very elegant leggy bay foal sired by Ascot Party Dance. To mature Galloway, it is a super type, very much like our Dreamtime Flirtini. Kingston Kate and Newington Etchings (Chloe) both surprised us by foaling the night we held our son’s engagement party at home. To do the rounds and find them was very exciting and not to mention a huge relief when all checked out ok. Clever girls! The thoroughbred mare Kingston Kate, who is on lease to us from Penny Ahern, had a gorgeous chestnut with lots of bling sired by Dreamtime Xzibit. I expect this foal will grow to be very tall as Kate is a lovely big mare. Newington Etchings who is on lease to us from Becky Wall, had a very cute chestnut colt sired by Ascot Party Dance. A tad ironic she had it on this night considering the sire’s name! This was the first foal for Chloe who had a very successful show career which included Supreme Led Riding Pony at Melbourne Royal Horse Show. I’m really looking forward to seeing this classy fella grow up & he’s already promised to a wonderful show home. We have named him Dreamtime Party Music. A very exciting opportunity arose after conversations with Tanya Dudley of Whistlejackets Stud in South Australia recently. 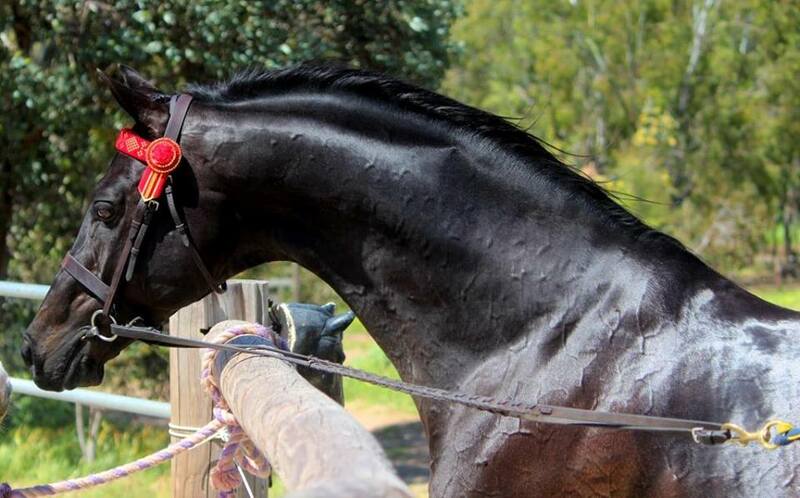 Her gorgeous Galloway stallion Wesswood King Joshua has arrived at Dreamtime Park for the breeding season. I’ve fancied this stallion for quite a while and have admired his offspring so we jumped at the chance to cover a few of our own mares plus a few lucky selected outside mares in Victoria. To see pictures of Josh you can’t help but admire him. But to see him in the flesh…..one word…..WOW!!!! Absolutely breathtakingly beautiful! So with the show season upon us, hopefully I’ll have photos from some soon. I love taking pictures of these beautiful animals we love.